Also read "The world to interfere in extermination"
The emergence of free media in Myanmar after six decades of oppression is not going the way anybody expected just weeks ago, and the trend is ominous. The new publications are openly partisan, nationalist and aiding a deadly war against the already disenfranchised Rophingya minority in the troubled Arakan state alongside the government, nationalist ethnic Rakhines and Buddhist Burmese. Every single piece of news reported is exclusively about the victimhood of Buddhist Rakhines. The media never quote Rohingya sources, which said tens of people – men, women and children – are being killed, and that houses and mosques were being burnt down. 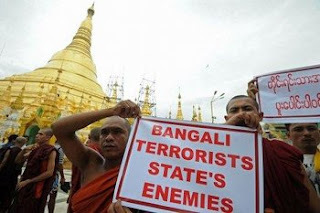 The legitimizing idea of their position is based on nationalism and national security that Bengali invaders are attacking western Myanmar and ethnic brothers and sisters. 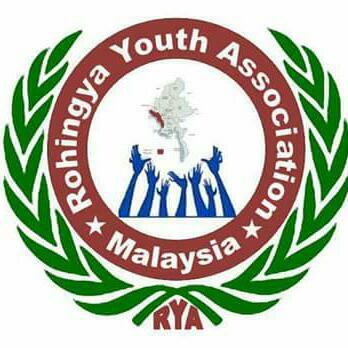 When photos are posted, they are about Rohingya youth attacking neighbors. Photos of Rakhines even burning down huts and holding swords are shown as simply self-defense. The conflict in Arakan state puts more internationalized media such as the Burmese services of the British Broadcasting Corporation (BBC), Voice of America (VOA), and Radio Free Asia (RFA), as well as the Irrawaddy and Democratic Voice of Myanmar (DVB) in a difficult position. At a more institutional level, the Burmese government – including the military and police - is gaining popularity. In the name of protecting the nation and sovereignty, the military has been called upon to take control of the burning state.